A small single divan bed or 2’ 6” bed is often the first choice for those choosing a new bed for small children or as an occasional guest bed. Many of these smaller divan beds are also available as adjustable beds to make sleeping more comfortable and helping to relieve back pain, poor circulation, aches and pains caused when sleeping. With a slightly smaller surface area than a single bed, 2’ 6” divan beds are a great space saving solution for smaller bedrooms. Like many standard divan beds, small single beds come with additional drawer options meaning that they double up as storage solutions for the bedroom. The Sweet Dreams Alice Kids' Divan Bed or the Sweet Dreams Goal Kids' Divan Bed are available as a platform or slidestore divan base and as a visitor bed. Complete with deep quilted stitchbond mattresses, this kids' bed comes in a range of sizes with a range of drawer storage options. Compact in design smaller beds are used for overnight guests as they can be neatly tucked away under a single, double or larger style bed. Some small single divan beds also come with the option of be raised to the level of the main bed so that they can increase the sleeping surface when required. At Dalzells we have wide range of specialist small single divan beds including adjustable beds and trundle beds. And if you need an inexpensive sleep solution in a hurry, our rapid free delivery service across Northern Ireland and Counties Louth, Dublin and Monaghan in Ireland is ideal. Not only that, but we’ll even throw in Free Pillows too! Located between Armagh and Newry we are ideally positioned to deliver to Lisburn in the east or Fermanagh in the west, with highly competitive rates across the rest of Ireland. 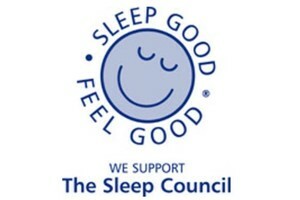 What's more we'll even collect and recycle your old bed, set-up your new Divan Bed and dispose of all the packaging. As we buy in bulk we can also provide additional discounts for Multibuy and our Price Promise gives that extra peace of mind. Call, Email or Visit Us in-store today.